Muddy Buddies are a favorite easy sweet treat. 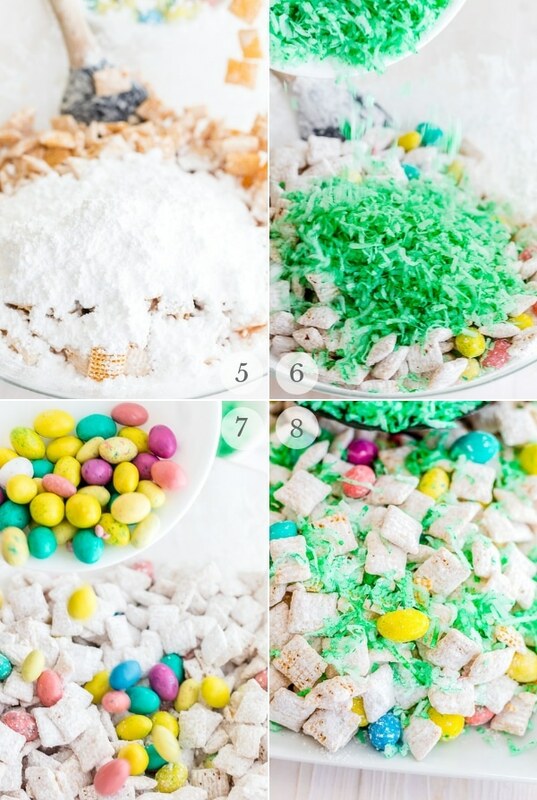 This Muddy Buddies recipe is changed up for spring or Easter making a cheery surprise! Spring has sprung in the Northern Hemisphere and Easter quickly approaches. The perfect time for a cute, sweet treat! 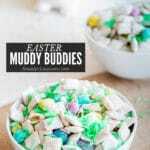 Those with a sweet tooth will love these Easter Muddy Buddies. 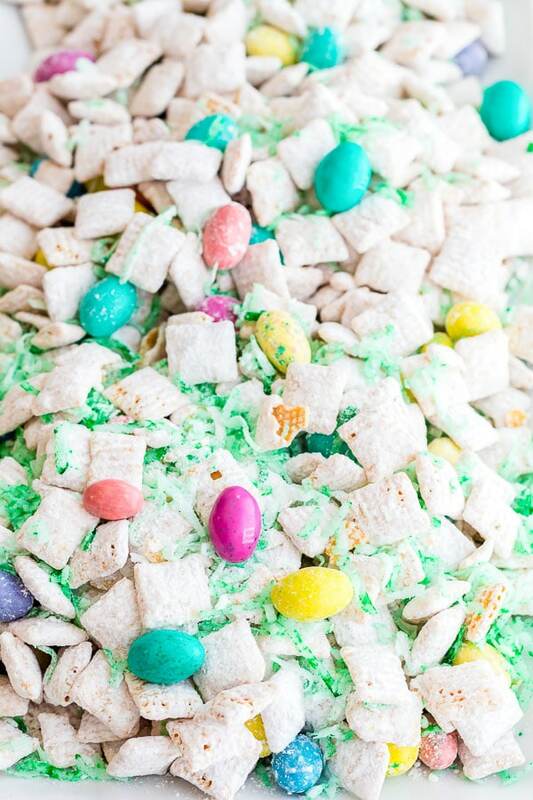 This Muddy Buddies recipe is a sweet crunchy treat with favorite spring-colored candies and coconut ‘grass’. It is very easy to make! Muddy Buddies are a homemade sweet snack originating in the United States Midwest. 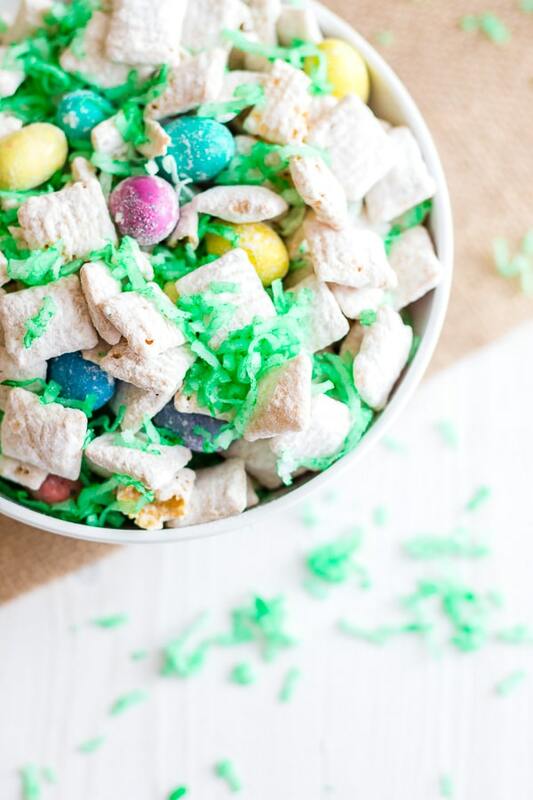 This beloved snack goes by many names: Puppy Chow, Monkey Munch, Reindeer Chow and more. 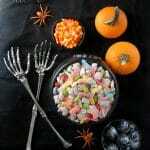 I actually made a Halloween themed Muddy Buddies recipe which is named “Witch Bits”. The ‘Puppy Chow’ name was derived due to the appearance being similar to dog food of the same name. Why are they called Muddy Buddies? That is unknown. Official Muddy Buddies are made with Chex cereal (vs other versions made with Crispix cereal). Muddy Buddies can be easily customized for the season or with special ingredients. It’s very sweet, with a great crunch and easy to make! If you’ve cooked with white chocolate before you’ll know it’s not as flexible as regular milk or dark chocolate for melting. When white chocolate gets too hot, it will dry out and stop melting (this is called ‘seizing’). 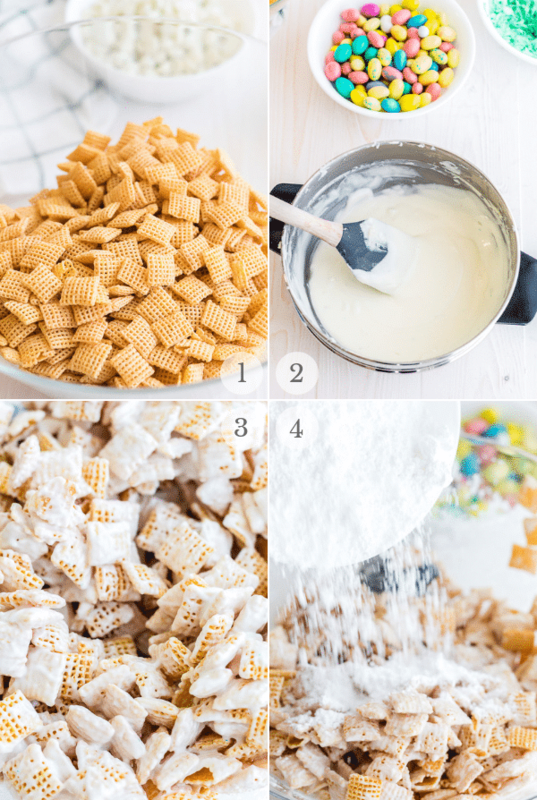 To make the white chocolate smooth to toss into this Muddy Buddies recipe, adding a bit of coconut oil and melting over a lower temperature creates a wonderful texture perfect for coating the cereal. This Muddy Buddy recipe uses delicious pastel peanut butter M&Ms that are only sold around Easter time. If making this recipe at other times of the year, or not being able to find the peanut butter M&M’s, regular peanut M&M’s can be substituted. Is this Muddy Buddies Recipe Gluten-Free? At the time of this posting, all ingredients are gluten-free! Because products can change, always check package ingredients. 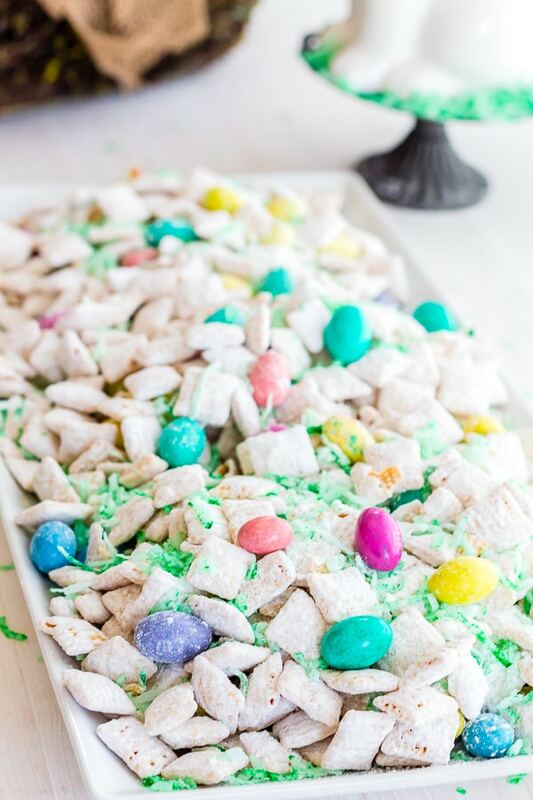 This springy Muddy Buddies recipe is very easy to whip up! Spread in a single layer onto wax paper to fully cool and harden (approximately 15-20 minutes). In a small bowl combine 1 cup of shredded coconut and 3-5 drops of food coloring; stir to fully coat and color the coconut. Store this Muddy Buddies recipe in an airtight container for up to 2 weeks. This will keep it fresh and crisp. Hot and humid conditions will soften the Muddy Buddies. In those conditions, seal in an airtight bag or container and store in the refrigerator. Did you make it? Please RATE THE RECIPE below! This sweet treat is perfect for spring snacking! Pour the Chex cereal into a large mixing bowl. Set aside. In a medium saucepan over low heat, combine the white chocolate chips with coconut oil; stir often until fully melted and smooth. Pour the melted white chocolate over the dry cereal. Fold carefully together until cereal is completely coated with the chocolate. Slowly add the powdered sugar to the cereal mixture; stir together to fully coat the cereal. Spread in a single layer onto wax paper to fully cool and harden (approximately 30 minutes). 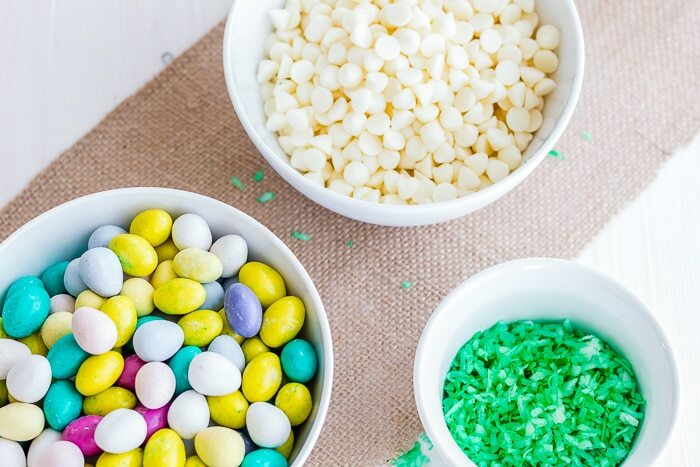 Combine the coated cereal, colored coconut and M&M’s. Amazing.It looks so delicious and so mouth watering.I will surely try this once at home. 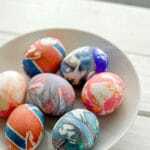 I am getting ready for Easter plans now! This will be great for an Easter function. I have never had muddy buddies but these are some great snacks for family fun. Nice tip on making white chocolate smooth by adding coconut oil. I haven’t made Muddy Buddies in forever. I like how you made them so festive for spring. I’m going to have to serve your recipe up this Easter. 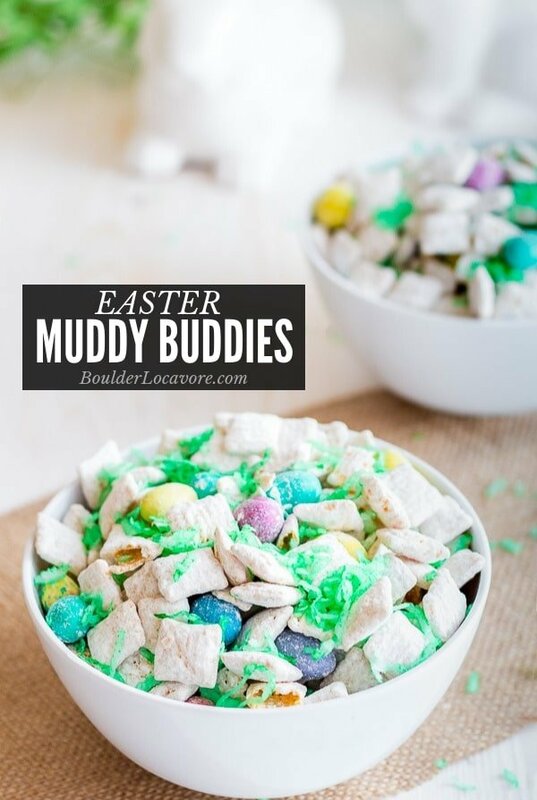 Easter Muddy Buddies seems like the perfect Easter Sunday treat. My nephews and niece will definitely love it. So nice! This looks like a recipe my kids would love! I can’t wait to. try it! I haven’t done my recipe for a long time. Here’s a good reminder and reason to do it this month. Oh, I’m excited to make this with my niece. I love sweet treats! This is such a great recipe for kids. Especially with the Easter coming up. 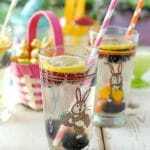 Such a fun snack or dessert for Easter! Yum! 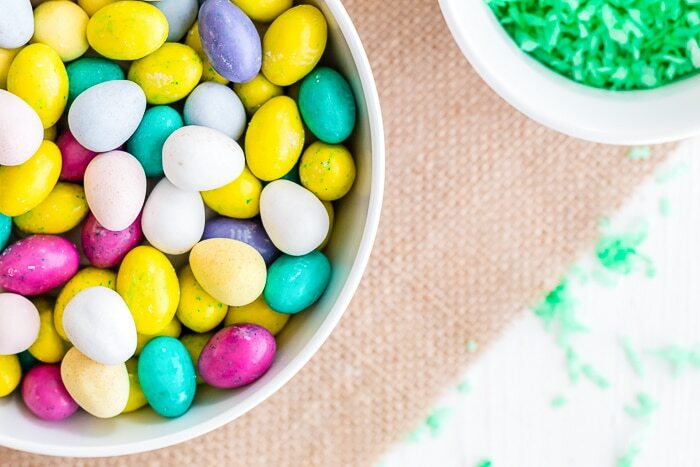 Why should these be just for Easter? I’ll be making these ALL year round! This looks so darn tasty! What a fun treat for Easter. My kids are going to love this! I’m going to need to make a double batch of this! Muddy buddy fans here! I can never resist ANY muddy buddy snacks. We love this yummy dessert because it can be dressed up so many ways! Muddy buddy sounds exciting. And so easy to make. Surely worth trying.